And a lovely afternoon it is too. Quite a contrast from yesterday! ...practicing for tonight (the choir were this close to being cut! 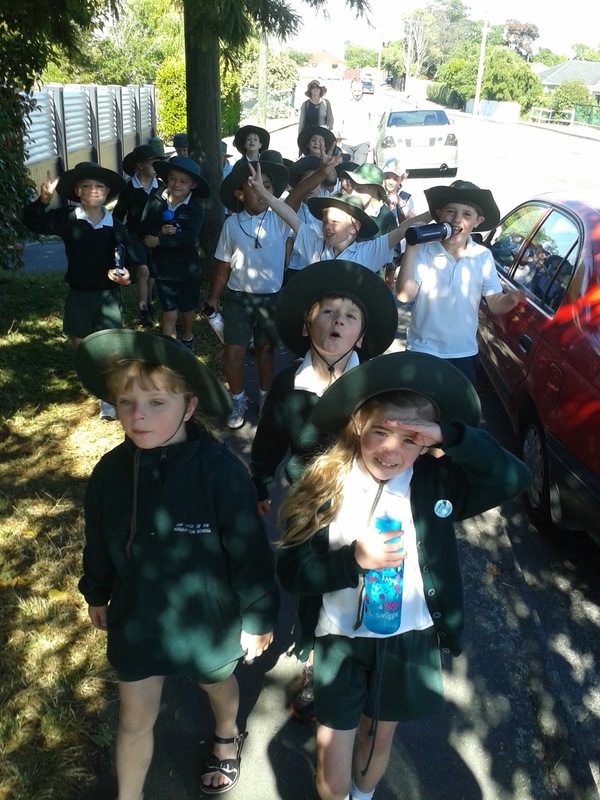 )...and, in spite of photographic evidence to support the assertion...we also walked back to school for lunch (a choir practice!) and some TRUMP! Please arrive at the Cashmere High School auditorium (Rose Street) by 5:40 in either summer uniform or Kapa Haka uniform. 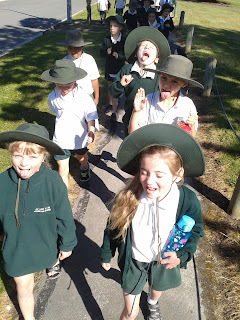 As for tomorrow - sports uniform, sun block, sun hats, morning tea, lunch and water bottles - all of which they'll carry themselves in their school bags - please.